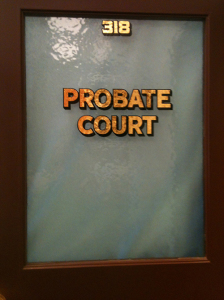 How do you get a probate started? There are specific Steps To Execute A Probate In California. In California, to get the probate process started, you must first file a request with the probate court, which will include a death certificate and original will. You then must notify all known creditors, beneficiaries, and heirs and file proof that you did so. The next step is to prove the validity of the will through statements from witnesses, known as a self-proving affidavit. Only once all documents are filed, you may begin the administration of the estate. For the executor of a decedent’s will, this entire process can be entirely overwhelming, as it may involve conflicts and disputes among beneficiaries and creditors. Family hurts and long time issues surface. Facing the death of a loved one is difficult enough without having to deal with his or her financial and legal matters. Do your have questions? Concerns? Every probate situation is different. And all are challenging, We can help you. Call today. We are your Sacramento area Probate Real Estate Experts! This entry was posted on Monday, September 14th, 2015 at 7:46 am	and is filed under PROBATE REAL ESTATE LEARNING CENTER, Sacramento Short Sale and Sacramento Foreclosure News. You can follow any responses to this entry through the RSS 2.0 feed. Both comments and pings are currently closed.